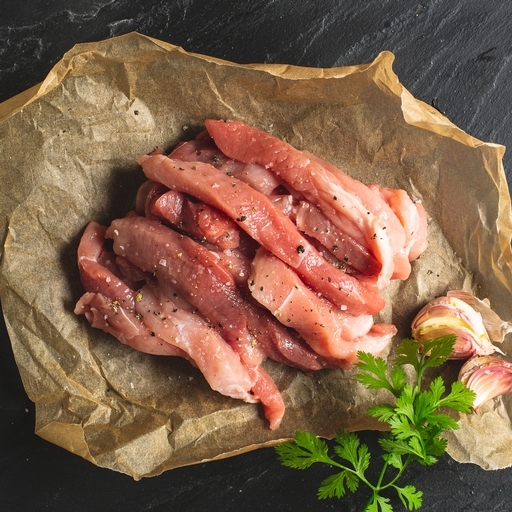 Lean, boneless organic pork for stir-fries. This makes an ultra-quick weeknight dinner sizzled in a hot pan with whichever veggies you have in the fridge. Season with garlic, ginger and lime – or for even more punch, with chilli, fish sauce, lemongrass and fresh herbs. Serves 2. Season generously and fry in a very hot frying pan or wok for 2-3 mins, until nicely browned and cooked through. They’ll take a little longer to cook if marinated first or sharing a crowded pan with other stir-fry ingredients.